This is Camille's first Christmas. Thanks to your website she has been identified as a Dudley Lab. 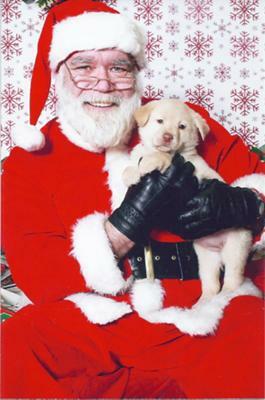 Our local feedstore does pet photos with Santa to benefit our local animal rescue and is a great opportunity for pet owners to gather and share stories and photos.